Whether you’re in the early stages of working with Laboratory Benefit Managers or are have more experience, understanding how to best work with Laboratory Managers (LBMs) is essential for reimbursement professionals. Dr. Mitchell Burken, M.D., Associate Medical Director, Genetics at eviCore shared some suggestions on how diagnostic reimbursement professionals can best navigate working relationships with LBMs. Learn best practices of working with LBMs below. What is the goal of Laboratory Benefit Managers (LBMs) when working with diagnostic companies? 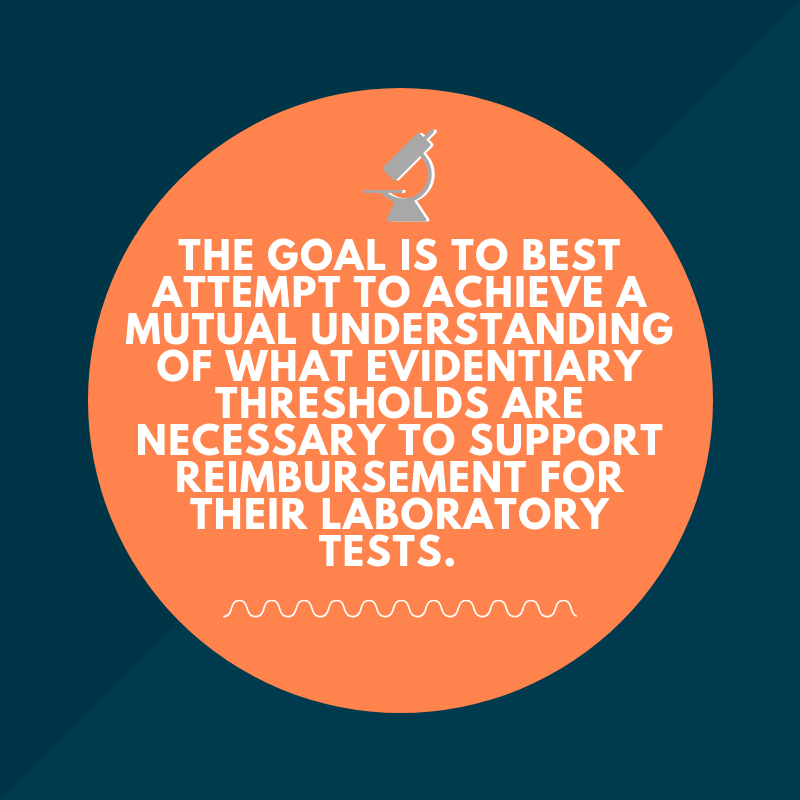 The goal is to best attempt to achieve a mutual understanding of what evidentiary thresholds are necessary to support reimbursement for their laboratory tests. What is the most important piece of advice diagnostic professionals should keep in mind when working with LBMs? Diagnostic professionals should aim to present emerging lab testing technology in a clear, concise manner that directly makes the case for clinical utility. This is a critical lever for successful reimbursement. Do you have any advice or suggestions for companies who are in the early stages of working with LBMs? My suggestion is to attempt to roll out their new technology in a measured, thoughtful manner, which might move forward as long as there is a successful progression towards demonstrating clinical utility. Specifically, at the early stages, brief touch points with LBM medical directors can give a heads-up, but as future studies, FDA approvals, etc. become more supportive, this messaging can be stepped-up as the planned market launch is solidified. What are the main takeaways that you hope attendees will learn during your presentation at Q1’s Diagnostic Reimbursement Conference? All of the points above will be covered, under the planned umbrella of my presentation (along with Dr. Castle in San Diego in February) which will mostly cover the evidentiary expectations for new reimbursement to exist. To learn more about Dr. Burken’s session and for full program details including speakers, sessions and more, download your copy of Q1’s Diagnostic Coverage and Reimbursement Conference agenda. Q1 is hosting two editions of this meeting, for the East and West coast. Click here to learn more.